Last week, I tried to do a commentary on one of my many Junkrat gameplay videos. Seriously, I’ve a lot of them on my external hard drive…Sony makes it so easy to share. Anywho, I ended up laughing like a crazy person, in this case, Junkrat. One of these days, I’ll do a comprehensive video on Overwatch tactics…who am I kidding?! I’ll just give you a link to somebody else doing that. Hello folks. I’ve been rather quiet. I’m sorry Netflix, YouTube, Amazon Prime Video, my PS4 & life have been very time consuming. I might as well warn you now, season 3 of Unbreakable Kimmy Schmidt is coming out on Netflix tomorrow #HashBrown. But, good news everyone! I will be live streaming Tales from Borderlands this weekend. 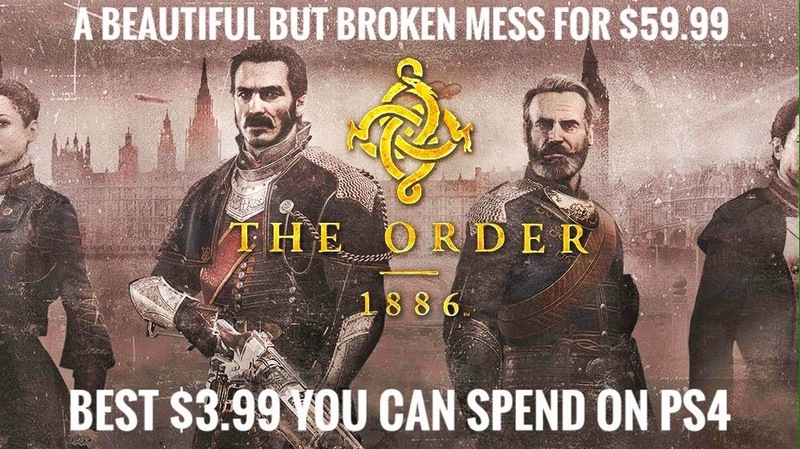 Currently playing – The Order: 1886. It’s on sale on the US/CAN PSN for $3.99. I grew tired of PSN UK with their rip off prices and bought it on my secondary US account. Anywho, it’s a steal at $3.99 – worth every penny.